AT&T and HTC have announced that HTC Aria, a rich and powerful addition to AT&T’s Android smartphone portfolio, will be available exclusively at AT&T beginning June 20. 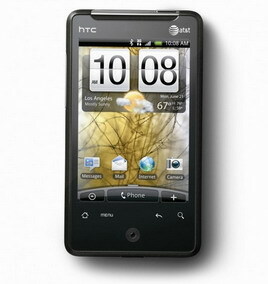 HTC Aria comes with Android 2.1 OS, a 5MP camera, 3.2-inch HVGA display, WiFi, GPS, and HSPA 3G. A full selection of the newest and most popular Google services can be accessed with HTC Aria. This includes Google search, Google Maps, Google Navigation, Gmail, YouTube and more. With Android Market, customers can also choose from more than 50,000 applications to further personalize the mobile experience. 0 comments on "HTC Aria announced by AT&T"